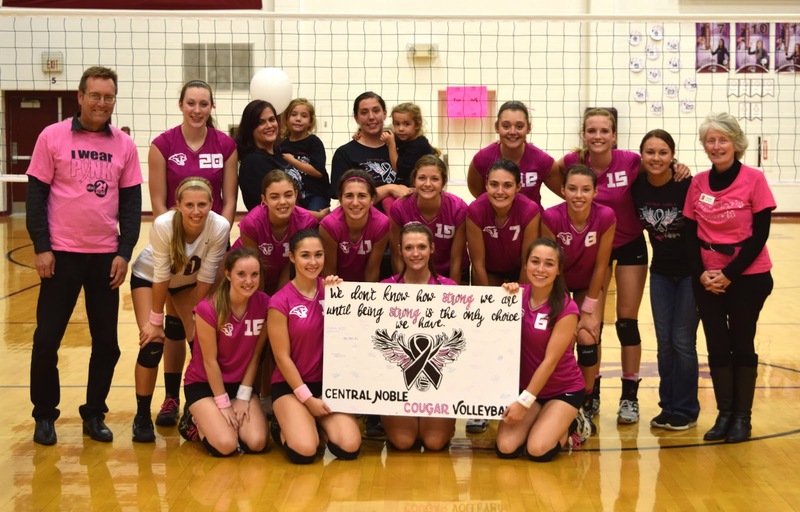 Francine's Friends: Central Noble Jr-Sr High Volley Ball Pink Out raises over $1,600! 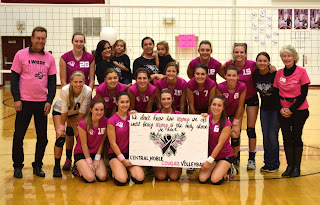 Central Noble Jr-Sr High Volley Ball Pink Out raises over $1,600! UPDATE....Here's the official photo of the check presentation in January 2017 - when these ladies make a commitment, they make a commitment! Thank you Lady Cougars and the entire Central Noble community for making the 2016 Pink Out such an amazing success! On Monday, October 3rd, the Central Noble Lady Cougars JV & Varsity teams hosted Hamilton and were victorious, "spiking down cancer" for their annual Pink Out Night and game, raising a whopping $1,600! Prior to the start of the varsity match-up, a moment of silence was observed and there was a presentation of pink flowers by the volleyball team to honor breast cancer survivors. There also was a bake sale, silent auction, raffles and PINK cotton candy. Francine's Friends was presented with a giant Pink Out poster signed by the Cougar Varsity Team players at the close of the evening. 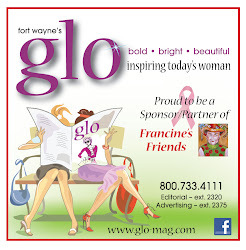 All proceeds from the evening's events went to Francine's Friends Mobile Mammography Unit. 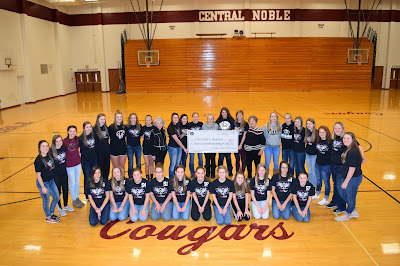 Special thanks to Kelly Beams, Guidance Counselor, and Central Noble Varsity Volleyball coach Laura Scott for helping organize the event, all who attended, and especially the Lady Cougars JV and Varsity teams. A check for final proceeds will be presented in January. Click here to view more photos from the evening on the Francine's Friends Facebook page.